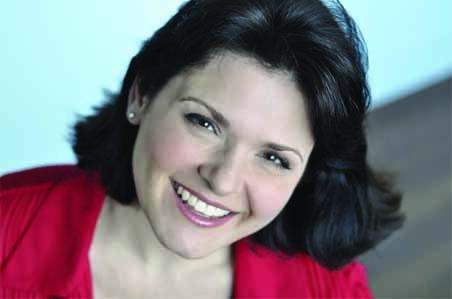 The soprano earned her degree in vocal music education from Butler University, belongs to the Actor's Equity Association and is an adjunct faculty member in the musical theater department at New Jersey City University. "I’ve always been drawn to teaching great vocal technique in the private lesson setting, a place where we can focus exclusively on what each student specifically needs at their level of training," McConnell said. "I know for a fact that having a strong technique was the key for me to sustain eight shows a week for over seven and a half years in the Broadway cast of The Phantom of the Opera, including the role of Carlotta I played in that production for more than six years. I'm excited to join the team at Drama Geek Studios. The first production I saw, I was impressed with the commitment and focus of each actor. I could also tell this was an environment based on support and growth." She said she thinks her personal background will help her connect with the aspiring artists from rural/suburban Sussex County who will become her students. "I grew up in the Midwest, more specifically the Indianapolis area, but definitely in the country. I take pride in knowing that this girl from a country gravel road was able to reach the heights of starring on Broadway, yet never had to compromise her 'moral compass'—those values I learned from growing up in a small town," she noted. McConnell has the distinction of being the longest running Carlotta in Phantom history and has also been seen in the New York productions of La Perichole, HMS Pinafore and The Mikado, as well as the national tours of Camelot and Carousel.